This is a library for rendering a markdown editor for the markdown with helper buttons to easily write markdown. It can be used with a toolbar and have a submit menu option there! You can customize the helper button using the markdownButton prop. Richtext editor for react native. A fully functional Rich Text Editor for both Android and iOS. 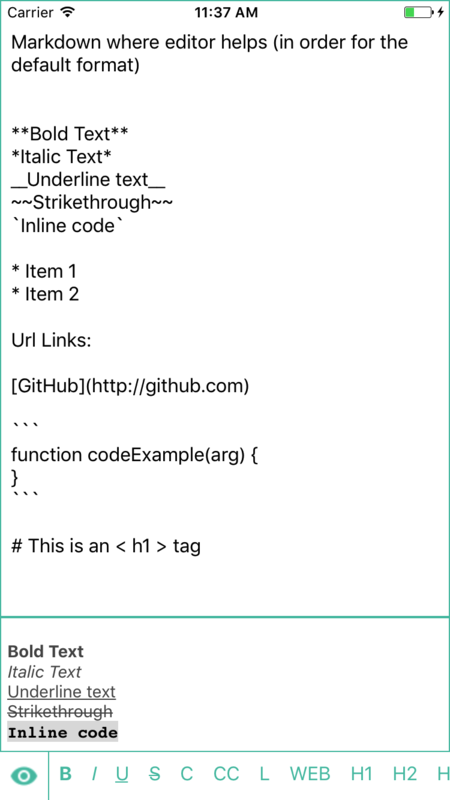 Generate GitHub Flavored Markdown (with syntax highlight) using React Native WebView. A React Native implementation of Brightcove Player SDK.